And they cry, and change their kids' diapers, and, as my friend Phillip Kuhlman writes, are "not embarrassed to have a vase of flowers on their desks (they can grow them but not bring them to work)." Read today's column for my take on the other things manly men do. What's your idea of a real man? Let's start a list. 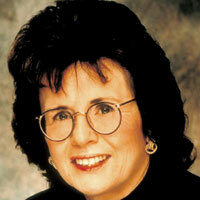 This is why I love Billie Jean King. Not because she's been an unflappable crusader for the rights of women, gays and lesbians and people of color; not because she's helped bring tennis to the masses; not because she kicked Bobby Riggs to the curb during that groundbreaking match in '73. I love Billie Jean because even after they named the U.S. Open facility after her in an emotional ceremony Monday night, instead of providing the obligatory photo op with the commemorative plaque, she shook her groove thang as Aretha's "R-E-S-P-E-C-T" wailed through the speakers. Still kickin it at 62. 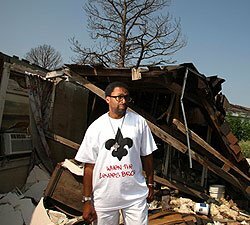 Spike Lee says he hopes you will feel something after you watch his four-hour documentary about Hurricane Katrina, When the Levees Broke: A Requiem in Four Acts on HBO next week. (Acts I and II debut Monday from 9-11 p.m.; Acts III and IV Tuesday same time). "I hope people feel anger, rage...I hope people get inspired to do something to help," he says. Now's a good time to link you to Been There Clearinghouse, a site and blog started by Cooper Munroe and Emily McKhan, a pair of Mommybloggers I met at the BlogHer conference in San Jose last month. Been There is an informal clearinghouse that assists victims of Hurricane Katrina through donations and fulfilling of requests. Shows you the power of blogging in action. I spoke to Spike last week for a story I wrote about his documentary for Sunday's Inquirer. When I asked why he used the word "requiem" in part of the film's title, he replied, "It is a prayer for the dead, but I think there can be hope at the same time." Are you going to watch this week? Let me know what you think. I'm out of computer reach until 8/25. Me and the better half will be donning yellow slickers, riding the Maid of the Mist in Niagara Falls. Since Ed Gordon took over for Tavis Smiley on National Public Radio almost two years ago, Gordon's show, News and Notes with Ed Gordon , suffered an 18 percent drop in the ratings. NPR says Gordon hasn't connected with the audience; Gordon says NPR hasn't connected with him. But the bigger question, posed by St. Pete's Eric Deggans, remains: How can NPR breathe some fresh air into a more diverse listening audience? 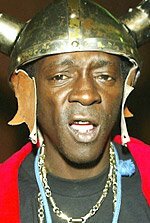 This week's column examines the gold-tooth cheesin', oversized clock adorned, Nordic helmet wearing phenomenon that is Flavor Flav. His VH1 reality show, Flavor of Love, became an instant cult classic last season thanks to the outrageousness of its star. I mean, who else would have the nerve to publicly woo Brigitte Nielsen - as Flav did on The Surreal Life - besides Rocky? I cut Flav a break. His past life as hype man for legendary Public Enemy still carries a lot of weight in hip hop circles. But that women who pooped on Flav's marble staircase? Somethin's got to go. Hunger, Erica Simone Turnipseed's second novel, follows her successful 2004 debut, A Love Noire. Hunger explores the rekindled love affair between Noire, an unfulfilled grad student, and her African lover Innocent, an investment banker, set during the chaotic aftermath of 911 New York. Blackness is about the only trait Turnipseed's characters share. By the time you've finished Hunger, you'll feel like you've trekked across the African diaspora with this culturally diverse group of double degreed 30-somethings. 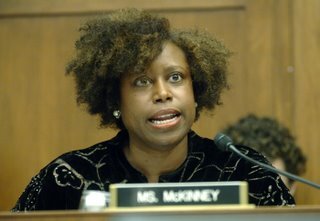 U.S. Rep. Cynthia McKinney lost her bid for Congress to Hank Johnson in the Georgia Democratic primary. 2. The Evil Media (also her claim). 3. How about her constituents getting sick and tired of her antics? Whether spouting off conspiracy theories about 911 or going all Naomi Campbell on a Capitol Hill security guard, McKinney undoubtedly lost the respect of her base. Black folks don't always have to vote in lock step because a candidate is an incumbent, or a Democrat or an African American, you know. 4.Here's what I think: It had to be the hair. Lately it's looked a hot mess, and was hardly in "blackwoman order" as Prof. Kim would say. In today's column, I explain why you don't mess with a black woman's hair. I've concluded that The View's Barbara Walters was ignorant to that fact after watching video clips of her picking and poking at guest host Brandy and tugging at Tanika Ray's hair like she was pulling weeds in a garden. And Barbara? Maybe it's not a wise thing to call Mo'Nique's kids "creatures" either. Duh. I just realized I hadn't set the "comments" setting correctly. I've adjusted it now so that anybody can comment, not just those with Blogger accounts. I kind of feel like the designer who's made the ugliest dress on Project Runway. I don't know whether I'm in or out. I discussed this recently with my friend Fizzle. She asked me how much editorial freedom I have since I blog for the newspaper's site. My answer? I honestly don't know. This is a whole new frontier for most papers; mine has yet to establish any guidelines. I do know that my journalistic instincts tend to take over when I'm considering what to blog; sharing information and insights takes precedence over personal stuff. And even though I write an opinion column for the paper, my objective sensibility automatically kicks when in I'm blogging. I'm torn. I feel the need to write about a community I want to be part of. I blame this schizophrenia on BlogHer '06. Had I not met so many cool people, I wouldn't find myself in this quandary. So what do y'all think? Should I be in? Or out? Or can I be both? Your jaw will drop when you read City Paper's piece about how old she is. Spend some time burning some calories this weekend. You know how people retort, "It's not brain surgery," when other folks whine about having to do something? Well, Karen Miller has a valid complaint. Because for her, it was brain surgery. 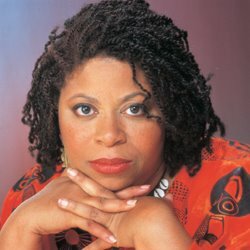 Karen, a former Inky colleague who covered West Philly using the same hustler's instincts she used to self-publish Satin Doll, her first novel, in 1999, said she sensed she was ill months before she underwent surgery in May '05 because.....well, I'll let her tell you. "All of a sudden, I couldn't dream. My writing was going so slow and you know how I can crank a book out (girlfriend wrote Satin Doll in two months). Then I started having seizures." She was diagnosed with a benign tumor on her left frontal lobe, the side that powers conceptual thought. "I couldn't see the creativity in anything," she says. 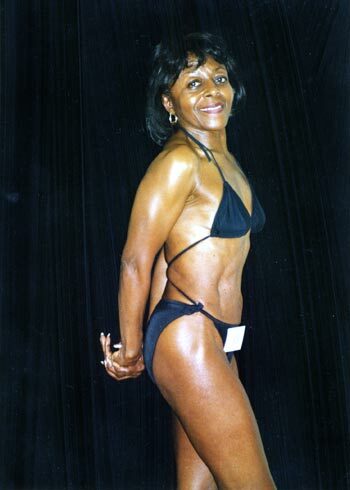 Five days after she got out of the hospital, "I had my first dream. From July 12 to Aug. 14 I wrote 50,000 words and turned in a 78,000-word book." Her fifth novel, Satin Nights, features the same sassy quartet of women we got to know in Satin Doll. If you're in Philly on Aug. 15, come on by Karen's book party at Zanzibar Blue from 5 to 7 p.m. But just because you go doesn't mean that Karen won't try to sell you a book if you run into her on the street. Though her work has landed her on plenty of bestseller's lists, "I will sell a book out of my car in a minute! The hustler in me has brought me this far. I'm not about to abandon that now." After I wrote Wednesday's column about blogging building community, I received an email from Cynthia Walker, who shared this link that was posted in tribute to her daughter, Jenn See, who passed away suddenly of a heart condition in June at the age of 26. The post, Walker says, "addresses the very essence of your article." Another emailer, Anna Beale, a BlogHer conference-goer, writes of women bloggers: "I love the notion that it is not all you or all me in this realm (blogosphere)...Not about you bulk up my blog or me yours, but that we can ally in a synergy far stronger than any part could be." She also directed me to a Philadelphia-based online community, Womenmatter, which is in search of more writers. I checked it out. It seems a little heavy on medical/health subjects; some diversity in topics would be nice.